In World War One, a French Colonel must defend three of his men who are set to be executed for cowardice. 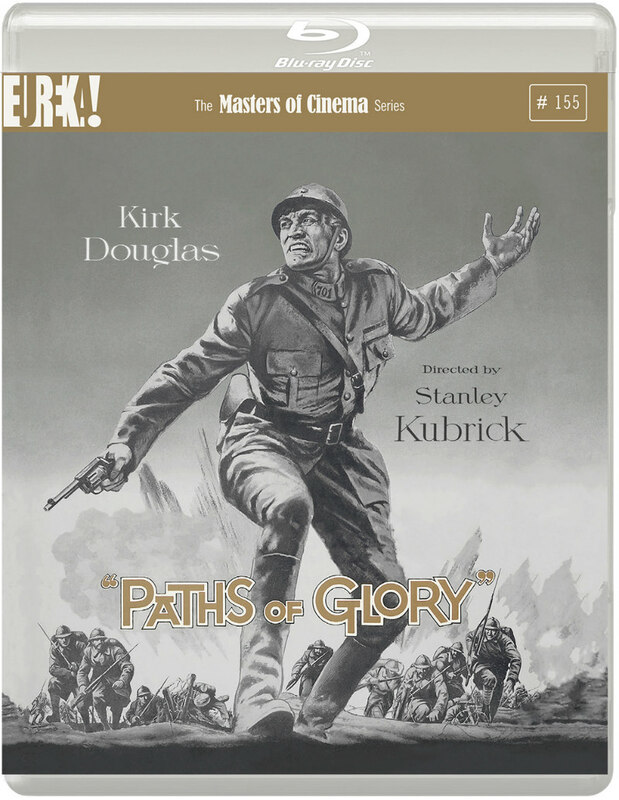 Shot in stunning monochrome with elaborate tracking shots through what looks like miles of muddy trenches, Paths of Glory may not be Kubrick's first film, but it's the first recognisably Kubrickian film. War is supposed to make men of boys, we're told. Yet the soldiers unfortunate to find themselves under the command of the French Generals in Stanley Kubrick's WWI masterpiece, Paths of Glory, find themselves emasculated, wrongly accused of cowardice in order to set an example to their fellow troops. Faced with execution, one soldier breaks down in tears, not so much at his impending fate, but at the fact the stress of his situation has killed his libido. "I haven't had a sexual thought since last night," he weeps. This army, it seems, wants limp boys, not hard men. 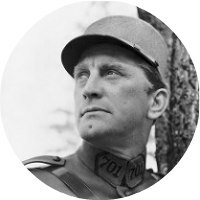 Colonel Dax (Kirk Douglas) is all man, willing to stand up to the idiocy and misdirected bloodlust of his superiors. With his pointed steel helmet, he resembles a walking erection, and when we meet him first he's dowsing cold water on his face, as though to extinguish just the sort of sexual thought the army wants to remove. When he hears a General use the word 'pregnable' in relation to a German fortress, he remarks how it "sounds like something to do with pregnancy". Dax finds himself ordered, by Generals Georges Broulard (Adolphe Menjou) and Paul Mireau (George Macready), to lead his men on an assault on a heavily fortified German position known as 'The Anthill'. It's a suicide mission, but the ambitious Mireau agrees to it, as its success guarantees him promotion. Visiting the trenches, he teases the soldiers by asking each man if they're married, keeping their spirits up with the false promise of future female flesh. They're fighting for the women of France is the implication, but did anyone think to ask the women of France? War is often what happens when men speak for, not to, women. When Dax leads the assault, it quickly becomes apparent it's an impossible and futile task - the German artillery fire is simply impenetrable, and the men fall back to their own trench. This infuriates Mireau, who orders his artillery to fire on their own men, a request understandably denied. Determined to make an example of men he considers cowards, Mireau requests that 100 of Dax's troops be executed. After much wrangling, Dax manages to get the figure down to three, and vows to act as legal counsel for the men. Like a companion piece to William Wellman's The Ox-Bow Incident, Kubrick's film is one of the most effective screen arguments against capital punishment, and it's equally as grim as the Wellman picture. Despite Dax's best efforts, we know his attempt to save his men will ultimately prove futile - men in suits always beat men in boots. In the film's final act, the knot in the stomachs of the accused men begins to take hold in the bellies of the viewers; nothing angers us more than senseless acts. Shot in stunning monochrome with elaborate tracking shots through what looks like miles of muddy trenches, Paths of Glory may not be Kubrick's first film, but it's the first recognisably Kubrickian film. In Eureka Masters of Cinema's beautiful new hi-def transfer, it's a thing of beauty as stirring as the angelic young German girl (Susanne Christian, later to become the director's wife) whose forced vocal performance in the movie's coda gives the soldiers something to live for, and a sexual thought or two to get them through the night. Interviews with Kubrick scholar Peter Kramer and director Richard Ayoade. Commentary by film scholar Adrian Martin. A trailer; an isolated score and sound effects track that really highlights how much the sound design adds to the verisimilitude of this depiction of trench warfare; and a booklet featuring a new essay by critic Glenn Kenny, who is always worth reading. 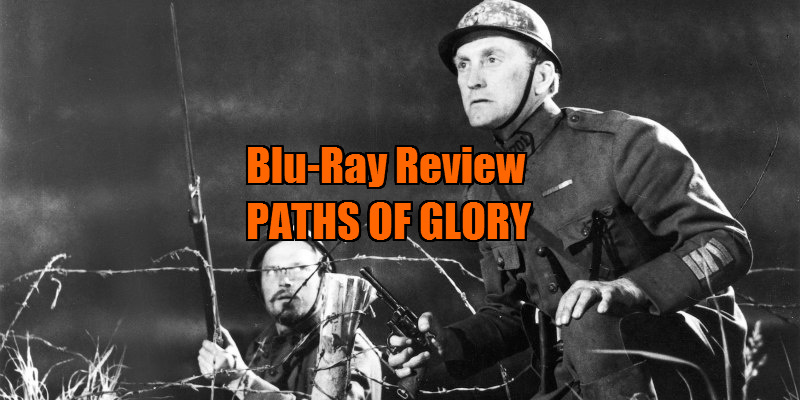 Paths of Glory is released on blu-ray September 19th by Eureka Masters of Cinema.